Almond has initiated and organized many conferences on themes in applied ethics. She is a Member of Societas Ethica (European Society for Ethical Research) and served on its Praesidium under Dutch, Danish and Swiss Presidents. Almond is Emeritus Professor of Moral and Social Philosophy at the University of Hull. 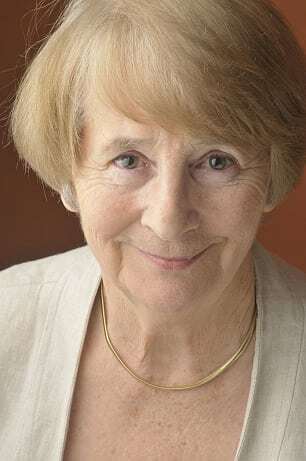 She moved from the department of Philosophy at Surrey University where she taught from 1974 – 1986 to the University of Hull in 1986 and was Professor of Moral and Social Philosophy and Director of the Social Values Research Centre at Hull 1992 – 2002. She has lectured widely in Europe and elsewhere on moral philosophy and on bioethics and applied philosophy and has held visiting appointments in philosophy at universities in various parts of the world including the USA, W. Africa and Australia. Almond studied philosophy under A.J. Ayer at University College, University of London, where she was awarded the Rosa Morrison Prize for Philosophy and graduated with First Class Honours. She received an M.Phil. in Philosophy from the University of London for a thesis on ethics and rationality. She was awarded an Honorary Doctorate (doc.hc.) by the University of Utrecht (1998). Almond, Brenda: The Fragmenting Family, Oxford: Oxford University Press, 2006, 2008. Almond, Brenda: Exploring Ethics: a traveller's tale, Oxford, Blackwell, 1998. Almond, Brenda: Exploring Philosophy: 2nd edition of The Philosophical Quest, Oxford, Blackwell, 1995. Almond and Parker (eds. ): Ethical Issues in the New Genetics, Aldershot, Ashgate, 2003. Almond, Brenda: 'Family relationships and reproductive technology.' In Having and Raising Children, ed. U. Narayan and J.J. Bartkowiak, Pennsylvania State University Press, 1999. pp. 103-118. Almond, Brenda: 'Applied ethics'. In E. Craig (Ed. ), Routledge Encyclopedia of Philosophy. London: Routledge. 1998, 2011 (http://www.rep.routledge.com/article/L005). Almond, Brenda: 'Education for Tolerance: cultural difference and family values', Journal of Moral Education, vol. 39, No. 2, June 2010. pp. 131-144. Almond, Brenda: ‘Genetic Profiling of Newborns: Ethical and Social Values’, Nature Reviews Genetics 7, January 2006, pp.67-71. Almond has presented written and oral evidence to Committees of the two Houses of Parliament on issues connected with the family and reproductive technologies (2005, 2007), is an advisor to Civitas, (Institute for the Study of Civil Society), and was a main contributor to Every Family Matters, a 317-page Report on Family Law commissioned by the London-based Centre for Social Justice (2009). Almond has served on the HFEA (Human Fertilisation and Embryology Authority) (1998 – 2001) and on the HGC (Human Genetics Commission) (2002 – 2008) and is a member of the Executive Committee and Council of the Royal Institute of Philosophy. Prof. Brenda Almond has spent a career weighing up moral and ethical questions facing liberal societies, most recently in relation to the current debate about the family.